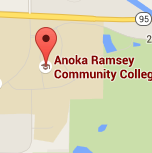 Anoka-Ramsey Community College will foster an environment where employees, students and visitors are at zero risk of involvement in workplace violence. This will be accomplished by encouraging mutual respect among all individuals, establishing open and honest communication, inviting all employees to provide input, and enforcing zero tolerance for any type of violent behavior. Please see Policy 5J.4 for restrictions regarding possession or carry of firearms applicable to Minnesota State, in accordance with the Minnesota Citizens’ Personal Protection Act of 2003, Minnesota Statutes section 624.714 (Possession or Carry of Firearms), and other applicable law. 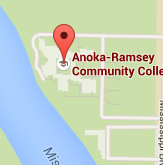 "Student support services and programs are great at Anoka-Ramsey. You can always find an answer to your question, and everyone is very friendly." A member of the Minnesota State Colleges and Universities system and an equal opportunity educator and employer. Accredited by The Higher Learning Commission.